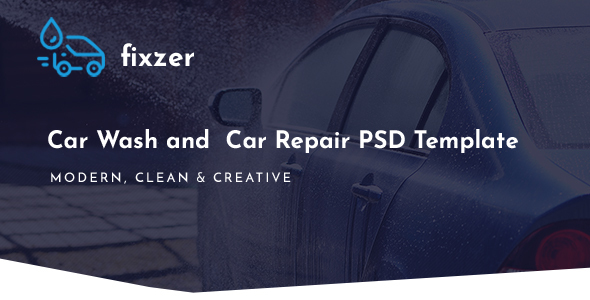 Fixzer – Car Wash & Car Repair PSD Template. This is a clean and modern design that you can use auto, auto service, Auto Wash, car, Car Repair, car service, car wash, cleaning, garage, mechanic, motor, repair, auto painting, workshop and any kinds of car related Service. It has a lot of features pages. 3 Perfect Pixel / Detail Layered PSDs. This PSD template is perfect for convert into any HTML / CMS.